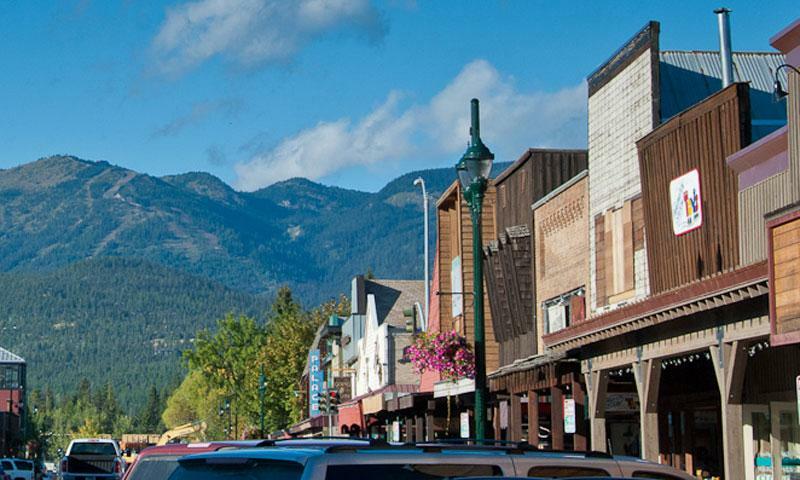 Like the replica of a Hollywood movie set, downtown Whitefish Montana is a picture perfect western town. With its quaint downtown streets lined with shops and bustling restaurants, Whitefish will captivate you. Start your trip here. Whitefish, Montana's official visitor center is the best, most reliable source for activity, lodging and dining information. Where can I enjoy a bike ride in Whitefish? Location: Whitefish’s bike and walking paths wind throughout the city. Cost: Bike path is free. Services: Start at Kay Beller park off Highway 93 and Obrien Avenue, riding south through the city park. Pick up Baker Avenue and ride to the city’s limits. Where can I make my own art in Whitefish? For all of its western flair, Whitefish has an artful soul. From its many galleries along Main Street and colorful murals, art is important to the community. At Stumptown Art Studio, visitors can create a piece of art, as well as a vacation keepsake. Location: On the north side of Central Avenue. Services: Create your magna opus in clay. Either paint your own pottery or throw your own pot on one of the studio’s wheels, at Stumptown Studio there’s many ways to channel your inner artists. The First Thursday of every month from June to September Whitefish will feature Gallery Nights in downtown Whitefish. Over 20 galleries will be showcasing local artists and their work, including Stumptown Art Studio. Where can I enjoy the theater in Whitefish? Bringing Broadway to downtown Whitefish, the Whitefish Theater Company puts on productions throughout the year at the O’Shaughnessy Cultural Arts Center. From musical theater to hula shows, the 362-seat theater hosts a variety of cultural events and family shows. Location: Next to the train depot at 1 Central Avenue, Whitefish. Services: The Theater hosts evening performances and matinees of plays, concerts, dance shows and family events. Phone: The Whitefish Theater Company at the O’Shaughnessy Theater. 406-862-5371. Where can I enjoy a farmer’s Market in Whitefish? Services: Shoppers will find everything from fine baked goods like pies and cookies to handmade jewelry. In addition to many stalls of fresh produce, several of the local restaurants serve their menu favorites out of food trucks.